[-a/--arch <architecture>] Filter JVMs matching architecture (i386, x86_64, etc). [-F/--failfast] Fail when filters return no JVMs, do not continue with default. [ --exec <command> ...] Execute the $JAVA_HOME/bin/</command><command> with the remaining arguments. 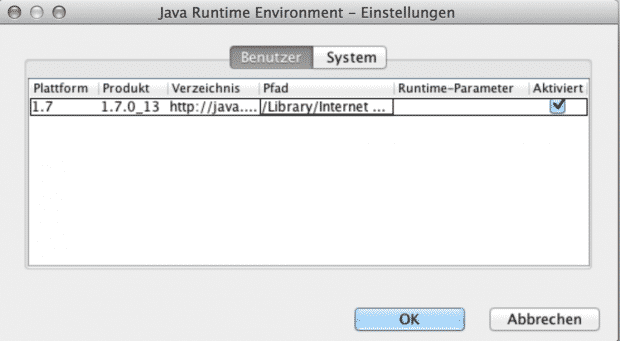 [-R/--request] Request installation of a Java Runtime if not installed. [-X/--xml] Print full JVM list and additional data as XML plist. [-V/--verbose] Print full JVM list with architectures. If 1.6 isn’t installed on your machine you can get it from here.